Unarguably, one of the most notable achievements of Nelson Mandela and the African National Congress was that they were able to dismantle the apartheid structure of law in South Africa without the destruction of the colonial population. Though their dominance of the political system has ended, the white community, both British and Afrikaner, remains firmly ensconced within the cultural and economic life of the nation. It is hard to overstate how unusual this is. During the course of the Decolonization movement, there were two other African countries that faced the problems of South Africa–democratic rule by a minority population of European settlers. Neither of those situations ended well. In Algeria, when the FLN achieved victory in 1962 and the French government agreed to independence, the entire community of French Algerians, many of whom had roots going back 130 years, departed en masse, destroying their infrastructure behind them. In Zimbabwe/Rhodesia, the 1979 agreement that ended the civil war and led to the fall of the Rhodesian apartheid government included provisions for the protection of the white minority. But by 1999, all but a handful of these citizens had fled. The question must be asked, why was South Africa so much more successful in its rapprochement than its contemporaries? Even more that than, why was rapprochement even a possibility? Part of the answer, I am sure, rests with the skill and humility of Mr. Mandela and the leaders of the African National Congress, but there is another explanation as well. Algeria, Zimbabwe/Rhodesia, and South Africa all faced rule by white minorities. However, the manners in which those racist governments fell was very different. In Algeria, it was a combination of internal French war-weariness and the military pressure of the FLN insurgency. In Rhodesia, isolation from the international community played a part, but it was the white government’s inability to suppress the incessant guerrilla warfare tearing the country apart that forced them to the negotiating table. In both of these cases, armed insurgency along ethnic lines was the key to victory. 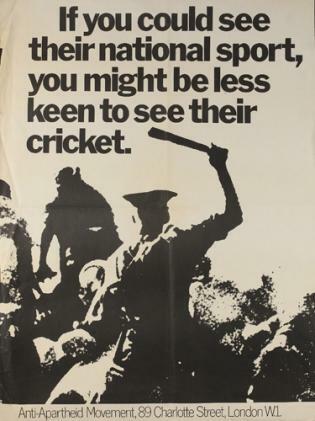 Now, in South Africa, the violence of groups like Spear of the Nation certainly was an element in the collapse of the Apartheid Regime. But it was the mass array of sanctions, boycotts, and divestment aimed from nearly every nation on earth at South Africa until it was a totally isolated pariah state that truly brought down the Regime. While Algeria and Zimbabwe/Rhodesia were battles fought in the language of the anti-colonial independence movement, South Africa was fought in the language of justice and equality. In essence, the former were ethnic conflicts, and the latter was a human rights issue. That statement may seem trite and over-simplistic, and in many ways it is. Obviously, those fighting against the tyranny of the French and Rhodesian governments were fighting for their human rights, even if they didn’t use those terms, and the struggles in South Africa were still fought along mostly ethnic and racial lines. But this is a matter of language and perception. And not just the perception of observers, but the perception of participants as well. Ethnic conflicts are bloody and brutal. They lead to feuds and lingering hatreds, atrocities and genocides, massacres and counter-massacres. Once people have been convinced that their group of people is inimically opposed to another group of people, the end result is inevitable. And even if the conflict has its roots in actual grievances, the reaction of most people is likely to be to throw up their hands, sigh, and say that while of course it’s tragic, there’s not much you can do if they just hate each other. In a conflict based around human rights issues, the perception is very different. In South Africa, the fact that the impetus of the movement was located internationally meant that it become much more than a simple Blacks vs. Whites ethnic conflict. It was instead about a specific entity, the government of South Africa, that was being held to account for it’s violations of objective human rights. 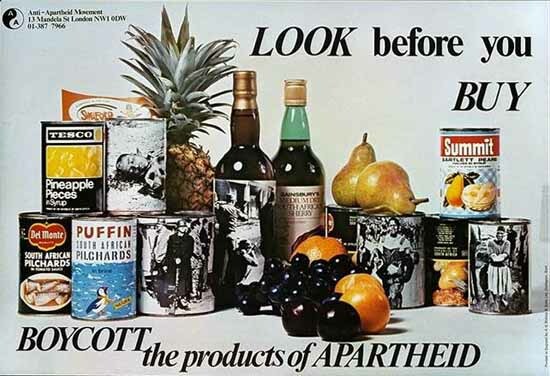 This strategy focused the attention of the anti-Apartheid movement on ending a distinct set of laws and customs in South Africa, as opposed to a more general ethnic struggle between oppressors and oppressed. The use of international sanctions and the language of human rights meant that the victory conditions demanded by the ANC required only the deconstruction of the specific political regime targeted, while allowing reconciliation and rapprochement for the population at large. I said earlier that there were there were two other countries facing the same problem as South Africa. In fact, there were three. The last one is Israel, which enjoys democratic governance by its Jewish population, while millions of Palestinians in the West Bank have spent 46 years under military occupation, watching as their land is steadily confiscated for the use of Israeli settlers. Right now, most people see the Israel-Palestine conflict as an ethnic one. Even people with sympathy for the Palestinian position all too often dismiss the whole situation by lamenting the fact that the two groups “just hate each other so much”. This is because, for all intents and purposes, it has been an ethnic conflict. 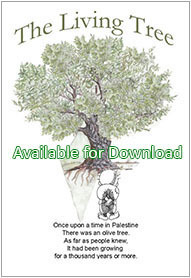 The Palestinians have used the weapons of terrorism, of insurgency, of popular insurrection, all aimed at Israel (and often the Jewish people) in general. It has been, for all intents and purposes, a war fought between two ethnic groups. This has contributed greatly to the international perception that the whole thing is just an unsolvable mess. But this is starting to change. 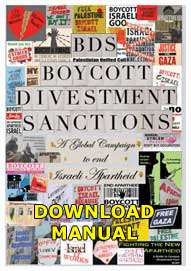 The Palestinian Civil Society call for a Boycotts, Divestment, and Sanctions campaign against Israel utilizes the language of international justice and human rights. It calls for specific changes in Israeli policy and governance, and it does so on the basis of specific, quantifiable actions taken against the Palestinian people in violation of international law and basic human rights. In effect, it transforms the conflict from a war to the death like Algeria or Zimbabwe/Rhodesia, and into South Africa-style campaign to bring about the end of a government dedicated to racial dominance. Some people may wonder, does it really matter the manner in which the struggle against Israeli oppression is fought? After all, all three of those countries did eventually gain victory. And to be honest, I agree. If the BDS movement collapsed tomorrow, Palestinian resistance would continue. And I believe it would eventually succeed. But let’s be clear. 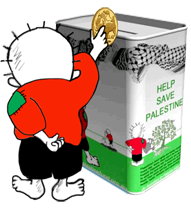 If the BDs movement collapsed tomorrow, the struggle would almost certainly return to the methods of violent insurrection and terrorism. And if and when they achieved victory, the results would look far too similar to the post-independence chaos and bloodshed of Algeria or Zimbabwe for comfort. This is why we must support BDS. Building a Palestinan freedom campaign built on the precepts on justice, human rights, and international coordination is the only way to ensure that when the Israeli Apartheid regime falls, what emerges truly will be a democracy of all its citizens, and not the ascendency of the blood-stained and vengeful victorious opposition.